The perfect Fall / Autumn theme for a party – Pumpkins! 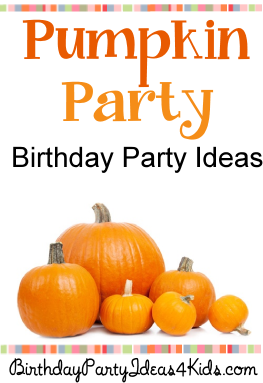 We’ve added a new theme filled with fun party games, activities, crafts and more all with a pumpkin theme. There is also a Fall themed scavenger hunt with over 30 Fall items to find! Party themes, party games, birthday activities for kids, tweens and teens ages 1, 2, 3, 4, 5, 6, 7, 8, 9, 10, 11, 12, 13, 14, 15, 16, 17 and 18 years old.